Many of America’s most beautiful venues came into existence during the Progressive Era as people sought out places to catch the hottest thing in entertainment of the time, vaudeville. Over the years, as vaudeville’s popularity faded, many of the venues took divergent paths. Some closed down and were replaced. Some converted to newer mediums like movies (of varying repute), and some simply fell into disrepair. Over the past 20 years, many of these spaces are being rediscovered and restored. Sometimes the the restoration process can bring a new lease on an old building’s life as well. One of the happiest new purposes these venues can find is to be host to live music. 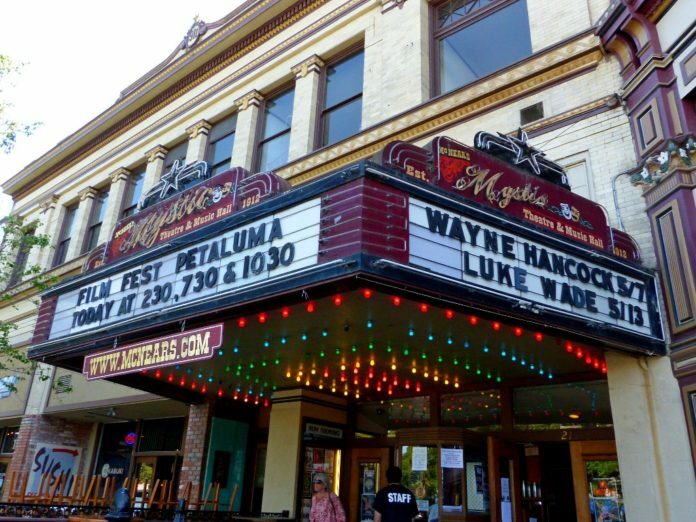 Petaluma, a city in Sonoma County about an hour north of San Francisco, is home to one of these historic theaters. 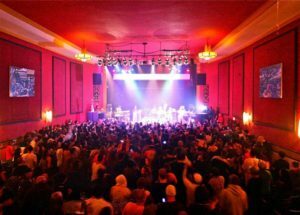 The Mystic Theatre today is home to a beautiful music venue that is the centerpiece of their downtown’s nightlife. Now part of the Ineffable Live family, it brings a combination of national and local talent into the heart of California’s wine country, providing an attraction for tourists and Petaluma natives alike. 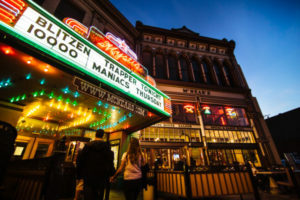 With its distinctive marquee and a wide range of music, the Mystic Theatre has become a destination for music lovers everywhere. But it didn’t get to be that way accidentally. I spoke with Bryce Dow-Williamson, the marketing director at the Mystic Theatre, about what it took to bring this Progressive Era gem into the modern age and how the team keeps it going. How did the location first come to be in Petaluma? It remained the State Theatre through the mid-1970s, during which time it showed primarily X-rated films. 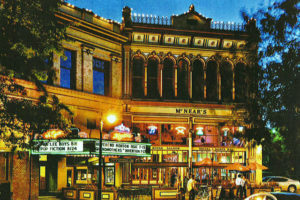 The State was reborn as the Plaza Theatre and showed art and foreign films before being renovated in 1992 to accommodate live music performances for up to 500 guests as McNear’s Mystic Theatre. How did it become a music venue after a long history of other types of performances? The building restorers and owners, building manager, and a local entrepreneur refurbished the venue for music in 1992 with a goal to provide a community meeting, eating and entertaining spot for locals and fun-loving visitors to enjoy. 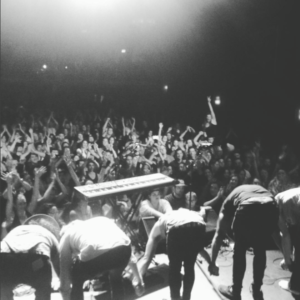 The new owners, Ineffable Live, came on in 2016 with a renewed passion for bringing top quality live music of all genres to Petaluma. What is your favorite part of being in Petaluma, away from a larger city atmosphere? The Mystic is a Sonoma County gem, so it attracts a great crowd of locals and folks that travel from further in the country to our spot. This results in an excitement for the artists and the fans. We’re a bit of an oasis for audiences thirsty for a great show or artists wanting a memorable stop along the tour. 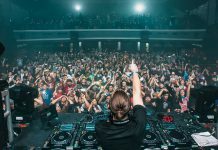 What’s something about the venue that people may not know about? The Mystic Theater (named State Movie Theatre at that time) appeared in American Graffiti. In the film, the marquee on the movie theater read “Dementia 13,” which was one of George Lucas’ first films. 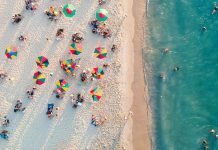 How do you find and book talent for the venue? We work with a variety of national booking agents, and actively stay aware of those rising in our local scene to put together great and diverse bills. Any dream artists you’d love to bring in? Living or dead? We’ve worked with many of my personal favorites like Lukas Nelson, Allen Stone, Devil Makes Three, and Against Me!. I’d love to get Miguel or Danzig in, but they’re more for stadiums these days. What do you want someone coming into Mystic Theatre to come away thinking? They had a positively memorable evening, in a beautiful place, with a large intention to return! Any upcoming events you’re particularly excited about? These legends are back at it and just as good as ever. We’re lucky to get this lineup for everyone who loves a little pickin’. Three Sonoma County heavy hitters coming together for an amazing night of grooves and gettin’ down. This guy is on Dap Tone records, and so he works with the folks from Sharon Jones & The Dap Kings. Sure to be a soulful.